Where it said "Upload Proof of Existing Loyalty Membership" we simply took a screenshot of our NCL Latitudes Rewards Loyalty Program indicating Platinum with the cruise history at NCL.com. 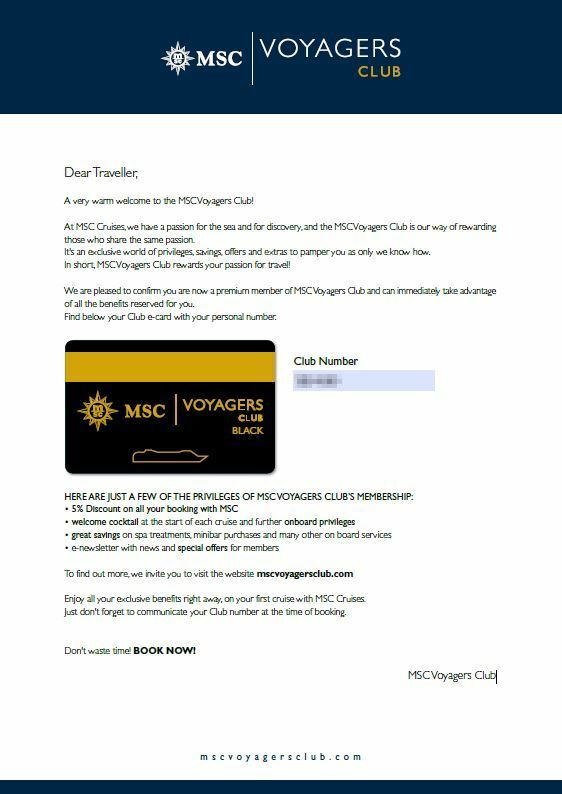 Please see the attached copy of your MSC Voyagers Club Loyalty Match e-card. Please contact your Travel Agent in order to have the Voyagers Club discount added to your booking. If you have any questions or concerns, please let us know. Thank you for choosing MSC Cruises. Also the nice thing is that there is no minimum age to be in the MSC Loyalty program, so kids can enjoy some of the benefits as well. Too bad NCL doesn't let kids under 14 register or otherwise we could have loyalty-matched him to MSC as well.